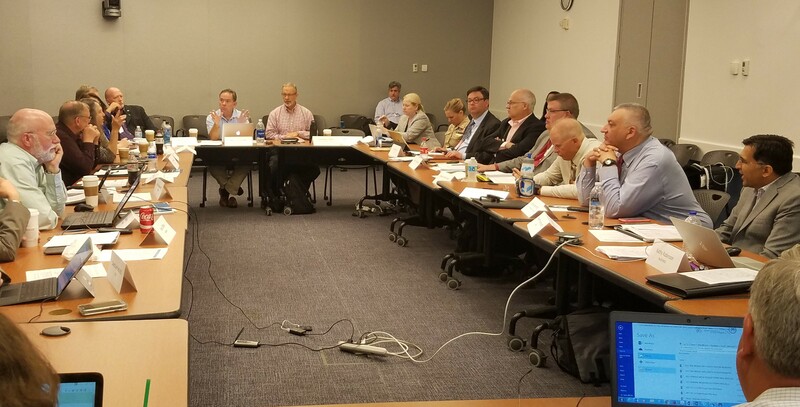 The National Association of State EMS Officials (NASEMSO) and the National Highway Transportation Safety Administration (NHTSA) hosted a series of meetings for subject matter experts to discuss revisions to the National EMS Scope of Practice model. The experts reviewed the model’s practices, examined education and training procedures, and discussed what certification level, if any, is needed for specific treatments that are now widely-used among EMS professionals. The panel focused on five specific procedures that are commonly practiced: hemorrhage control, Naloxone use, CPAP use, therapeutic hypothermia in cardiac arrest, and pharmacological pain management. Over the next several months, the panel will continue to examine information and recommend changes to the Scope of Practice model, with final recommendations tentatively set to be submitted in August 2018. For more information, please visit NASEMSO’s website. This entry was posted in Drugs & Pharma, Medical, News, Professional Standards, Uncategorized and tagged National Association of State Emergency Medical Services Officials (NASEMSO), National Highway Traffic Safety Administration (NHTSA), Scope of Practice. Bookmark the permalink.